If you need a new pump, have a repair job that needs to be done or just a simple question, we are the experts to call in Orlando, FL! At Pat’s Pump & Blower, we know the importance of your hard-working industrial and smaller machines and what they mean to your business. When you are in need of a repair, any time lost can mean lost clients or lost profits for your business. That is why we have made repairing pumps for your business a huge part of our business! Thanks to our free on-site inspection, our clients can get expert repair advice and are often back in business in record time. Aplex Pump Repair — Aplex builds some of the most dependable heavy-duty pumps on the market. These highly specialized and customized pumps are often put to work in steel mills, high-pressure drilling, sewer treatment and water treatment, just to name a few! If one of these machines require pump repair, it can be quite detrimental to the business involved. At Pat’s Pump & Blower, we can come to your rescue with same-day service calls and get your Aplex pump repair job finished as soon as possible. 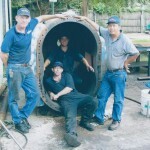 We are a master Myer pump distributor and repair center. 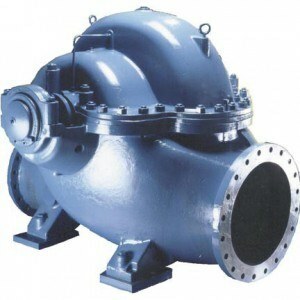 High-Pressure Water Pump Repair — There are many different uses for high-pressure water pumps. Water blasting and sewer cleaning are situations where a high-pressure water pump may be used. If the pump isn’t working at all or is inadequate, it may be time to call us at Pat’s Pump & Blower to assist you with a high-pressure water pump repair. Our repairs can be done at your location for your convenience! Hi-service and Vertical Turbine Water Pump Repair — People often take for granted the fact that you can turn on a faucet and have clean, running water anytime you need it. When it comes to city water, it needs to be working and available for citizens all day, every day. A city in need of city water pump repair needs to be repaired as quickly as possible. Our experts can help you get your city water pump repaired quickly and efficiently. Golf Course Pump Repair — Are your greens looking closer to yellow these days? Are you in danger of losing customers over crunchy grass? Let our experts help you. If you suspect you are in need of golf course pump repair, we can help! We understand that clients pay to golf on lush greens, and we can help you get your golf course pump working like it did on day one in order to return your greens to their previously beautiful state. Here at Pat’s Pump & Blower, we want to help you keep your business up and running. We are experts in selling and servicing industrial pumps and blowers, so if you have a pump repair job that needs to be done or just a simple question, we are the experts to call! While we are located in Orlando, we service many other areas, including some international locations. For all your questions and concerns regarding your pump and blower systems, don’t hesitate to contact us today!